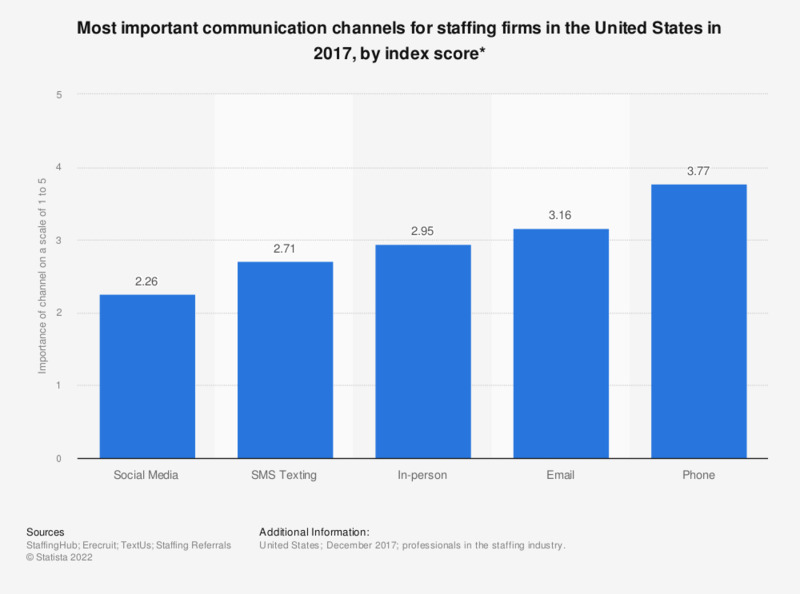 This statistic depicts the most important communication channels for staffing firms in the United States in 2017, ranked by a score from one to five. During the survey, the most important communication channel was phone, with an average score of 3.77 out of five. professionals in the staffing industry. Responses sourced via email invitations, blog promotion, and social sharing. Number of respondents not stated by the source. * Only includes responses from firms with an 'average' growth rate as defined by the source.